Paul Bockhorst Productions has produced a number of documentaries on historical subjects, and it continues to have an interest in projects that explore and illuminate the history of California and the American West. The company also produces programs that examine issues related to culture, including cultural diversity. Additionally, its documentaries on art and architecture present a wealth of cultural history as context for the discussion of particular periods and schools of art, artistic movements, stylistic tendencies, and individual artists and works of art. In its documentaries dealing with cultural and historical subjects, Paul Bockhorst Productions works with a wide range of cultural institutions, from historical societies and museums to non-profit social service and advocacy organizations. 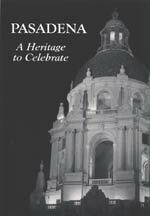 Documentaries on historical subjects in California produced by Paul Bockhorst Productions are used as educational resources in schools, libraries, and museums throughout the state.